Hello and welcome Sunsational stamps. Today is my day to post my Design Team project for you. 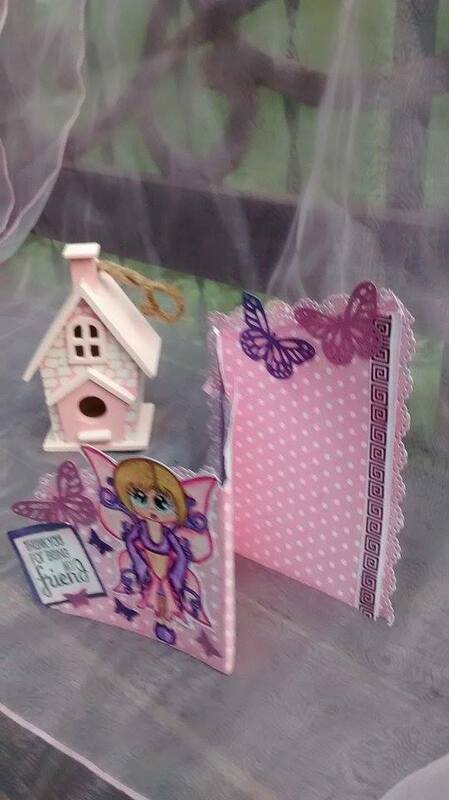 I chose to showcase Fantasia on a Tri-fold card. This is the first time I've ever made a tri-fold . 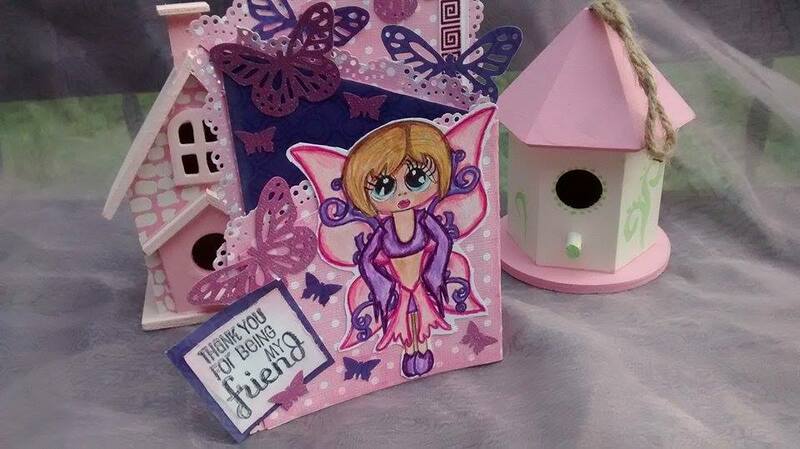 If you love to layer on your projects then this card is a must try. 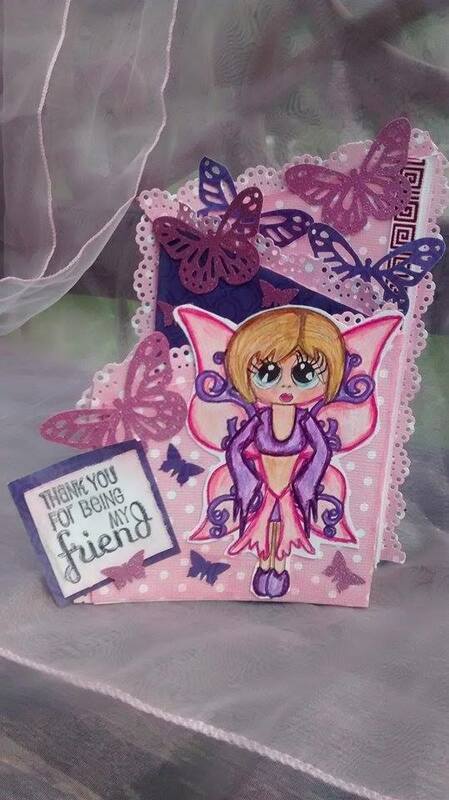 ( I love to layers and glitter lol ) I think Fantasia is just adorable on this card. 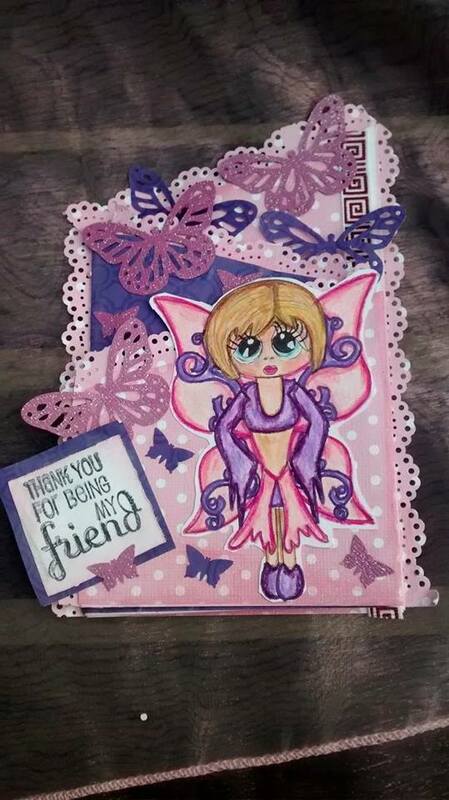 Although I made this for a pen pal, Fantasia #523 would be adorable on a little girls birthday card or even to wish someone a ' Fairy' Happy Day card... this stamp will be loved ! I hope you like my Design Project for this week. We would love to see it !!! Have a Great Tuesday... Happy creating ! !